Buy in bulk and save! 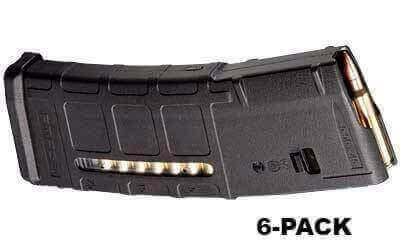 This includes Six (6) black M2 30-round window Pmags. Great magazines at a great price. Fast shipping. Receive my package in a very timely manner and at a very affordable good price as well. I will continue to buy my products from here! In stock, price was right, and real fast shipping! Magpul seems to be the most reliable in the AR 15 platform, from my experience.